Our Tennessee flagstone step treads are ideal for creating natural stairs, steps and pathways in homes, commercial buildings, gardens, and landscapes. All of our flagstone step stones and stair treads are real, natural stone that provide a look that manufactured stone products can't match. 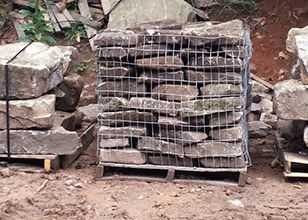 Custom sized flagstone step treads are not a problem at Culbreth Stone! 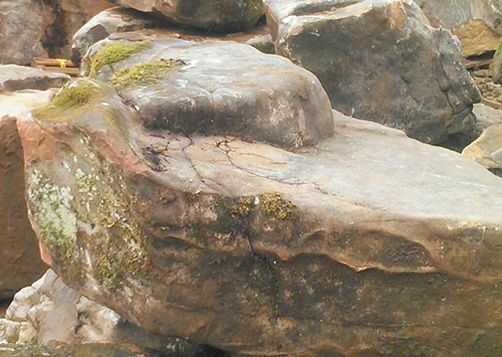 We are committed to meeting the needs of our customers and since we mine and cut our own natural stone products, we can create flagstone step treads in any size you require. 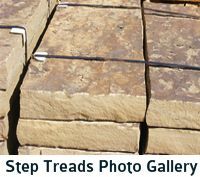 Culbreth Stone offers wholesale step tread pricing on top quality Tennessee flagstone step treads. 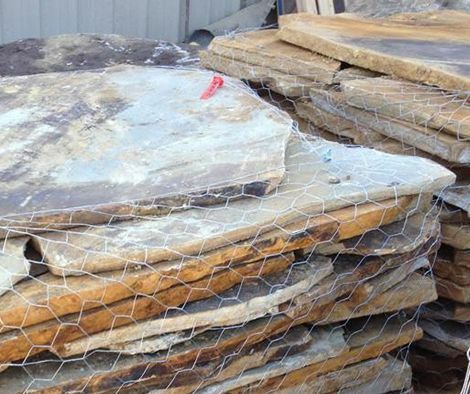 Call Allied Quarries today to talk to one of our Tennessee natural flagstone experts about wholesale truckload pricing on the finest Tennessee flagstone step treads available. 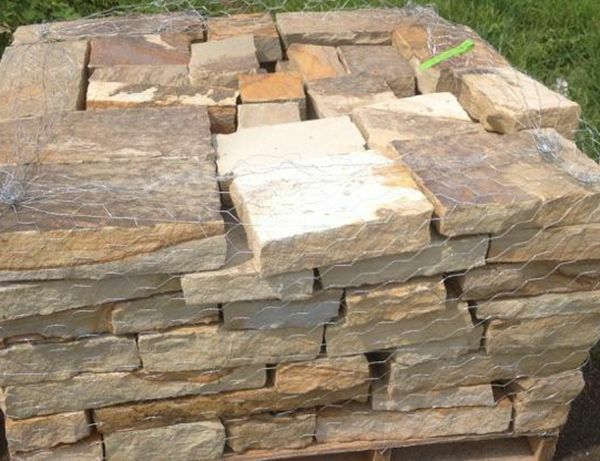 By supplying step treads direct from our quarry, we can offer top quality Tennessee flagstone step stones and stair treads at competitive rates you won't find anywhere else. In addition, our commitment to superior customer service doesn't end with low pricing. 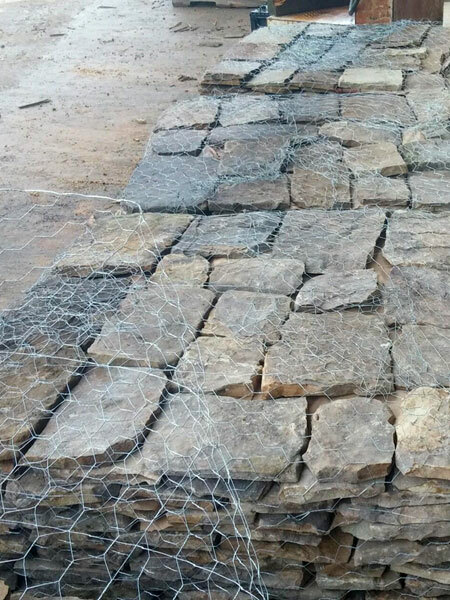 Since we own and operate our own flagstone quarry, we can control the process from harvesting the stone to shipment of your order to ensure that our customers not only receive natural fieldstone step treads that are the highest quality in the industry but also unsurpassed customer service. Contact our Tennessee Flagstone Step Treads Experts today for more information.